My girls used the original Learning Palette from Learning Wrap-ups when they were younger, as well as the wrap-ups themselves for math fact practice. They were a lot of fun! My second daughter called it her "special game" and played it as often as she could. I was interested to take a look at LearningPalette.com, to see what it was all about. We received a full year's subscription, wtih access for up to 5 users, for the purpose of the review. 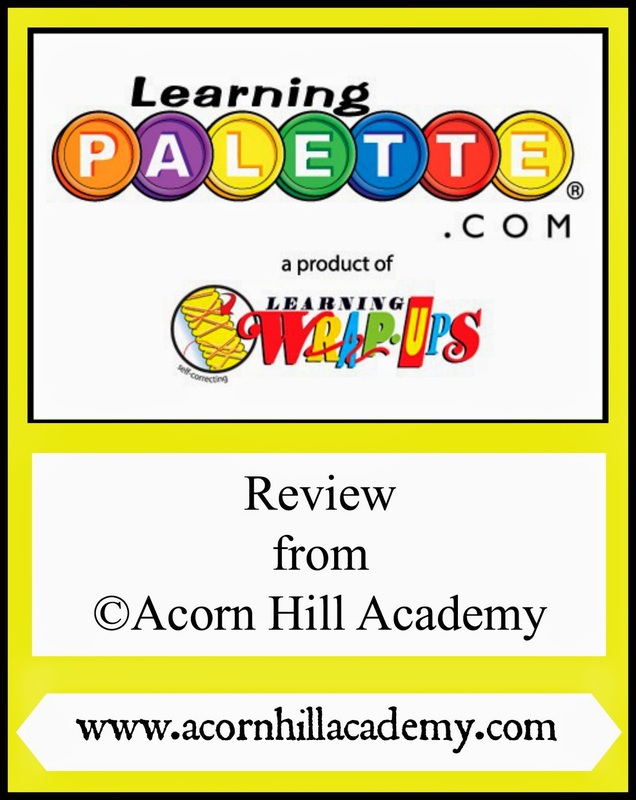 LearningPalette.com has six math levels available (Basic-Level 5), and four reading levels (Basic-Level 3). The levels correspond generally to grade levels (K-5th). 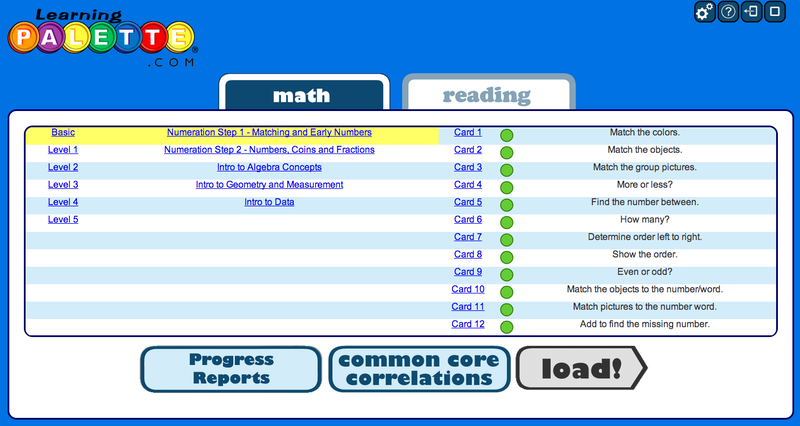 Within each grade level, there are 5 topics to choose from, and each topic has 12 "cards" for the student to work on. First, you select the skill you want to work on, and then the specific topic from within that skill. I found that the games worked on our iPad as well as on the computer. On the iPad, you touch and drag the disks. On the computer, you use the mouse to click and drag. I had my son use the game on my computer, once every other day or so. Often, my 13 year old would sit with him, which I thought was so sweet. She used to call the Learning Palette her "special game" and would play it all the time when she was Isaac's age. They had a good time playing together, and it was nice to have her be willing to help explain things to him if he needed help understanding one of the cards. 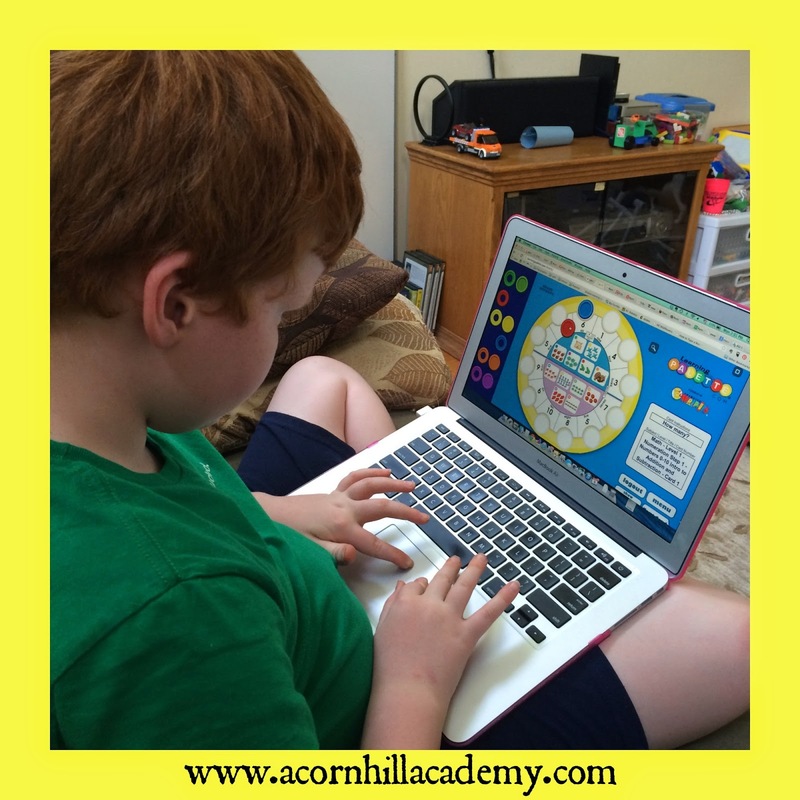 He enjoyed playing, although he doesn't ask to play this game as often as some of the other educational games we have for him. He is what you might call "radically unschooled" at this point, but when he starts more formal school in the fall, it will be a wonderful math supplement for him. 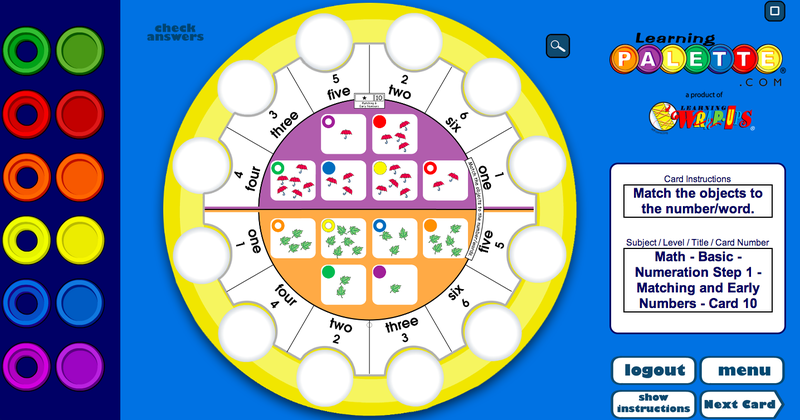 It's a fun, effective way to review math and reading skills. This is not a loud game with lots of visual stimulation. It's exactly like the physical game, except on the computer screen. Quiet is good. The game is self-correcting. That means Isaac can use it independently, which increases his confidence. The game really forces the child to pay attention to what they're doing. It was nice to have the game online, because when we play with the physical Learning Palette, it can be tricky to get it all together and it seems we are forever misplacing disks. They do store in a rather ingenious way in the tray, but when you have kids who like to pretend they are cookies and such, they tend to wander off. I have a set of replacement disks hanging around just in case - we needed it when the girls were little. And, I'm sure I have more sets of cards than I can currently locate, but everything is in one place with the online option. You have access to all the levels available with the online version, so if you find your 1st grade child is really ready for Level 2 activities, you can just switch over to those. What did we like less? I wasn't entirely thrilled to have an online game. Isn't that funny? It's both a pro and a con for me. My son loves to use the computer, and any game is all right with him. LearningPalette.com is a wonderful, educational game - but it gives him an excuse for more screen time, which I try to limit. Screen time is something with which we currently struggle, so adding another reason to be online adds to that. LearningPalette.com is a subscription site. A year's subscription is $59.99 for up to 5 users, which is quite reasonable, particularly if you have more than one child who will use it. Additionally, they're offering a 20% discount to homeschooling families, which brings the price down to $47.99. To get the discount, use the coupon code HOMESCHOOL.